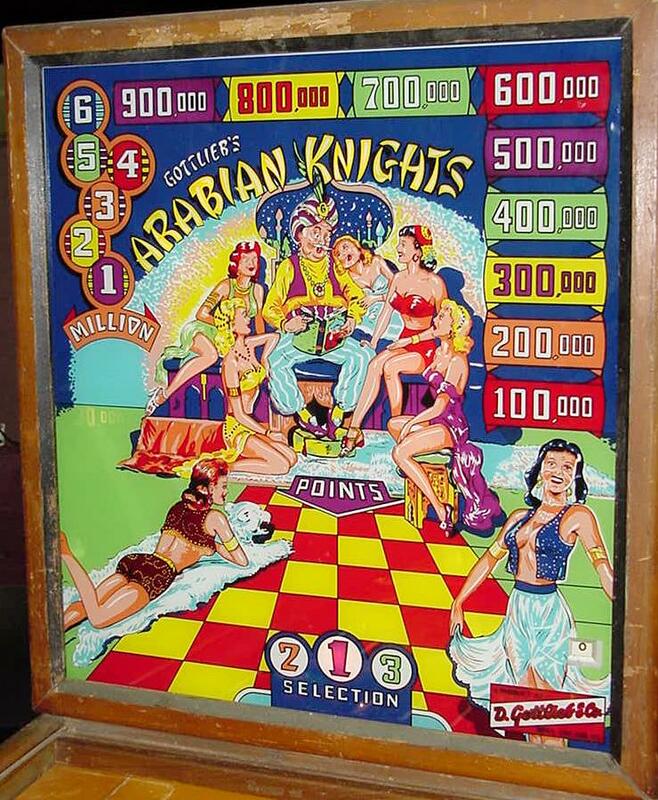 Description: Arabian Knights, Gottlieb, 11/53, 700 produced, 6 gobble holes, woodrail pinball, artwork by Roy Parker. 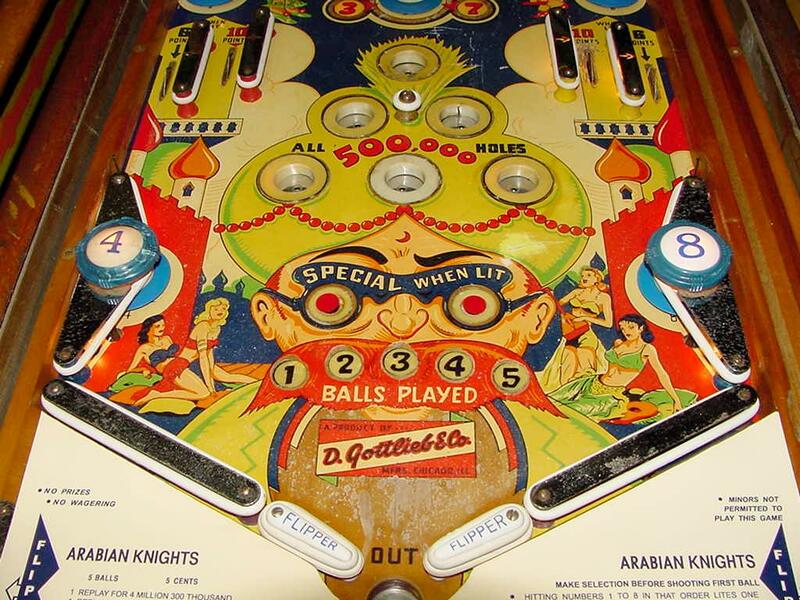 Arabian Nights has a knob in front to light either one, two or three of the six gobble holes. 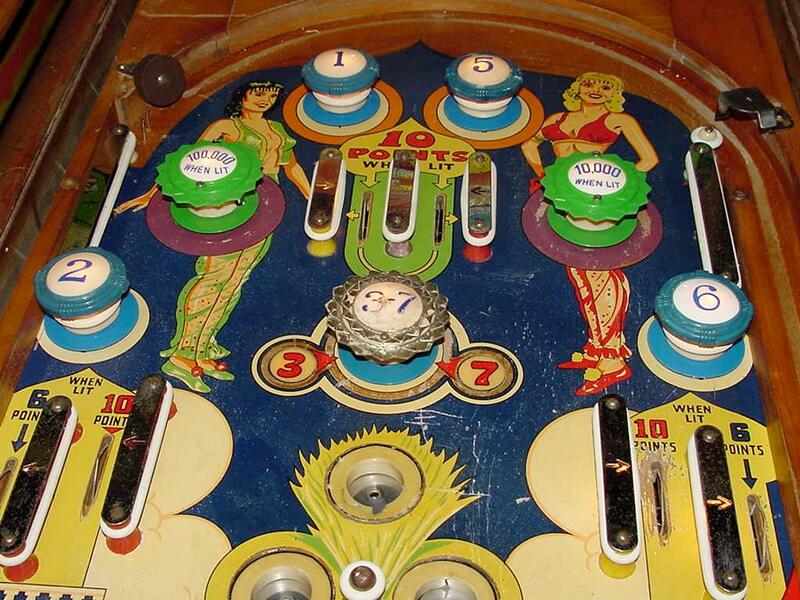 User can dial the knob to exactly which and how many (one to three) gobble holes they want lit. During play lighting all six trap holes scores replays. The less holes spotted at the start of the game, the more replays are earned when all six holes become lit (from 1 to 5 replays). 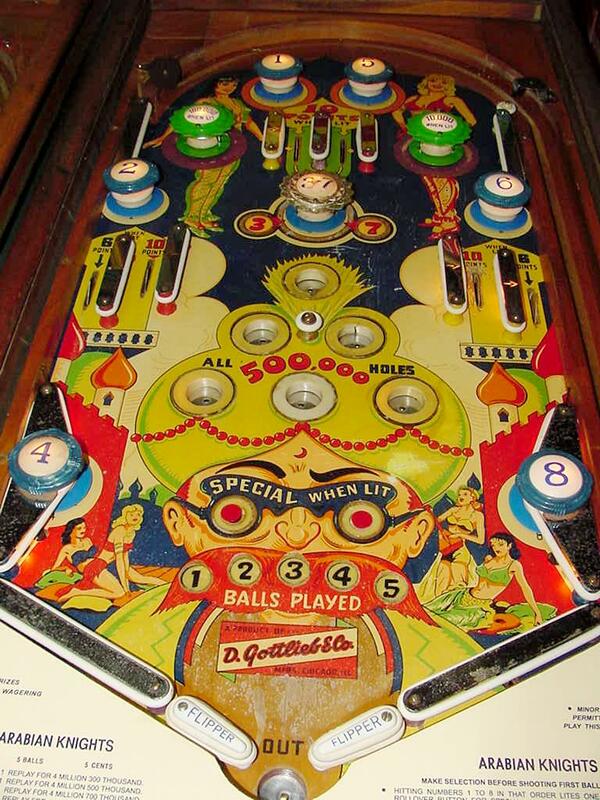 For example if three holes are spotted using the selector knob at game start, getting all six holes lit awards one replay. Spotting two holes at game start gives three replays if all six holes are lit. And spotting one hole at game start gives five replays if all six holes are lit. If the selector knob is moved after the first point is scored, the game automatically tilts. 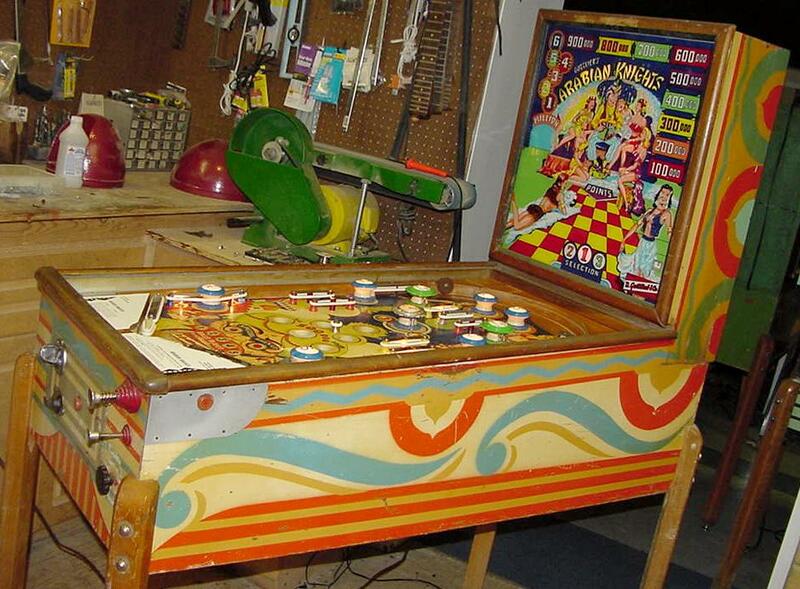 There are also eight number sequence bumpers (6 dead bumpers, and a combo 3/7 pop bumper). Making these in order lights one of the lower rollover button "eyes" for one replay (the 10k unit will rotate which eye is lit for replay).